Antique Terrazzo Flooring is Making a Big Comeback Across Florida. 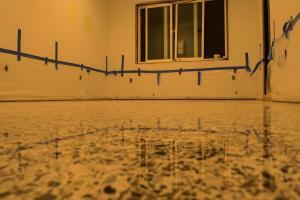 Terrazzo Flooring is being restored all across Florida. 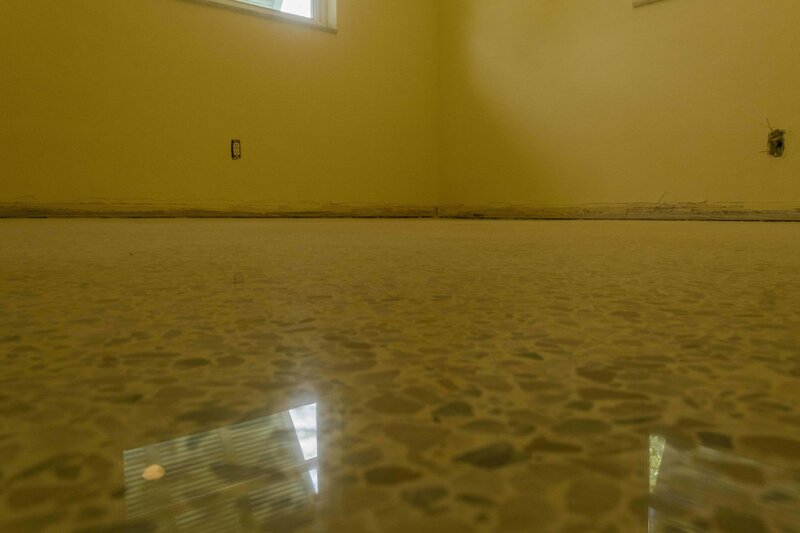 More and more, people are tearing up floor coverings and restoring their antique terrazzo. 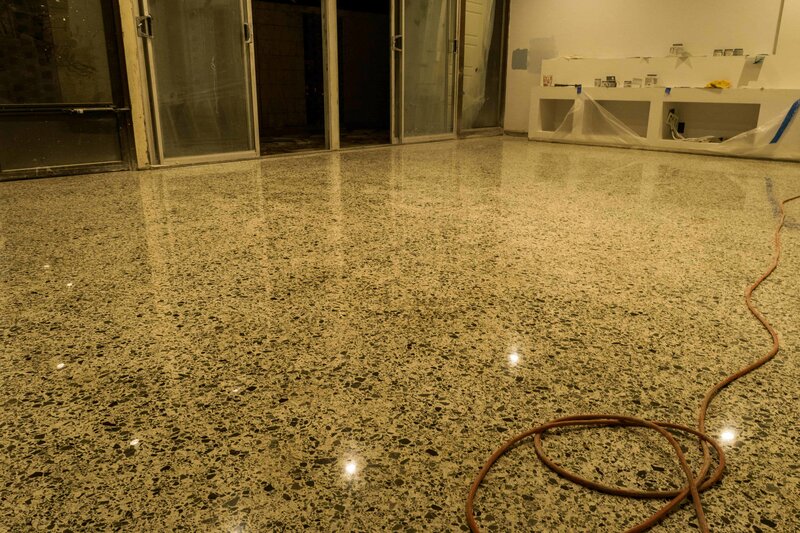 As better tooling and techniques have been developed, old terrazzo floors have been able to be restored to a more brilliant shine, as well as better stain removal. Just last week I was told, by a customer, that friends told her she would never be happy with her terrazzo floors, after they were restored. She told me that as she was marveling at how great her floors looked. 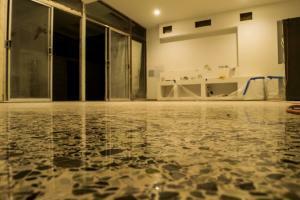 They might be your grandma’s old terrazzo floors, but they do not have to look like them. 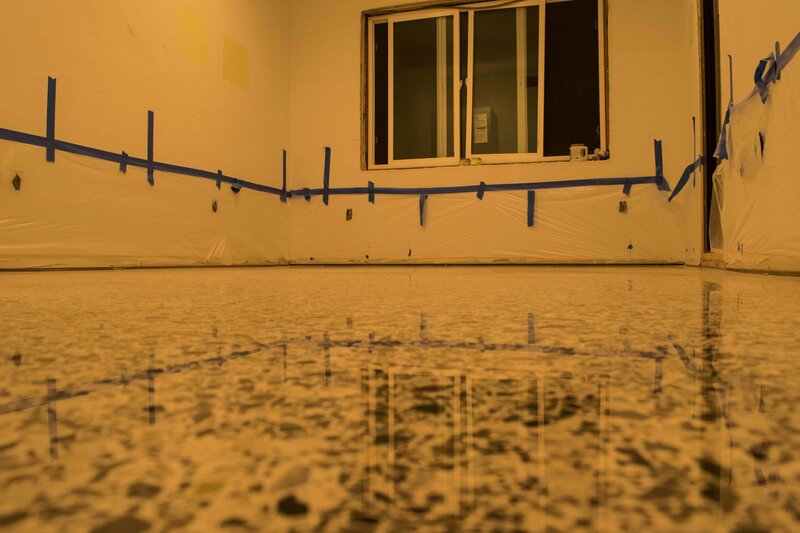 If your floors are 85% marble, as many terrazzo floors are, then why would you cover them? These floors can be restored to look great. No grout. A customer kept saying last week, as her tile was removed and we restored the terrazzo floor that was covered for years. Home owners do not want high maintenance floors. 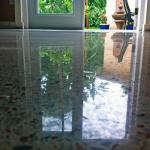 Terrazzo is very easy to clean. When diamond polished, it can be cleaned with a neutral cleaner, or just water. Because of the high diamond polished surface dirt and stains have a hard time getting into the floor. 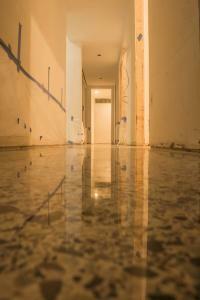 When terrazzo was first installed in Florida, many years ago, it was ground and honed to around 200 grit. Today we polish up to 3000 grit. That means your floor will have pours that are 15 times smaller. That keeps dirt and stains out for a lot longer. We also protect with a penetrating protectant. This impregnating protectant becomes part of the floor to hold out dirt and stains. These penetrating and impregnating protectants generally last 3 to 5 years. 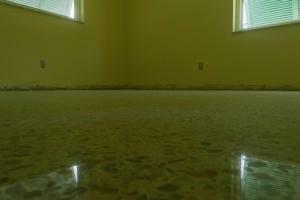 Terrazzo flooring, properly restored, can last 8 – 10 years under normal use. 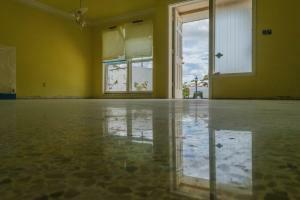 At that time the floor will, most likely, need polished again, but will not, in most cases require complete restoration. If you care for your floor and keep it up, it will never need restored again. 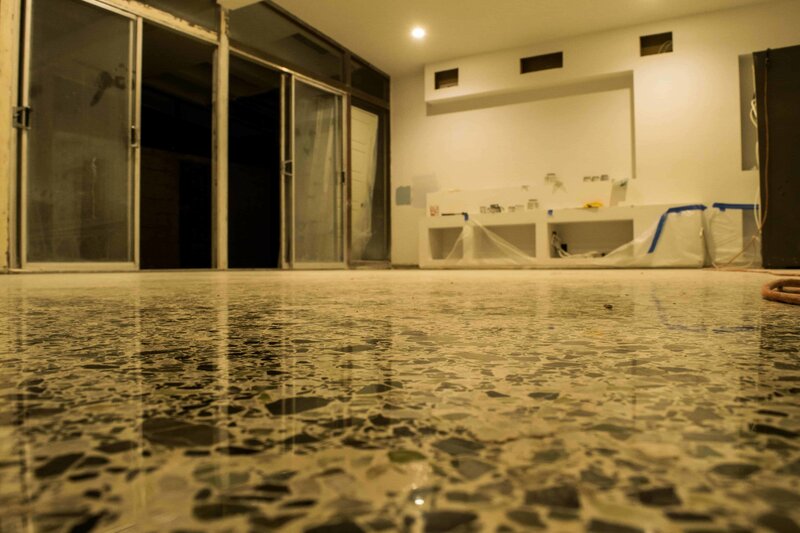 Florida terrazzo is making a big comeback. If your house is here in 100 years, then your floor will still be here too. It can still look as good then as it can look today. How green is that. 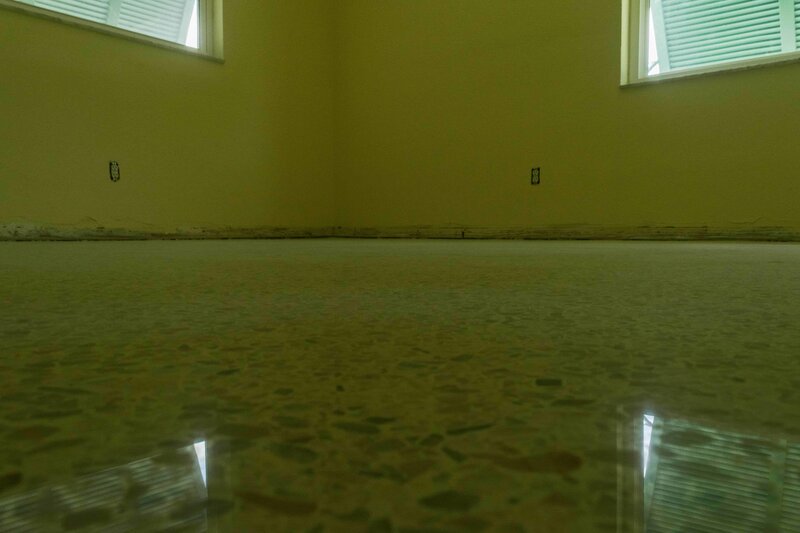 Remember, not all terrazzo restoration is equal. 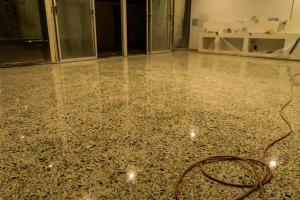 There are many ways to restore terrazzo and they will, most likely produce different results. At SafeDry we use a system that is unique to our company and, we feel, gives the best results. Give us a call today and we will give you a free on site estimate and let you know what we can do for you. Check out some of the floors we have done in February of 2013. By Joe Martin, President, SafeDry Inc.